Perfect for sipping and sharing with friends. Combine the chilled drink ingredients. Mix well. 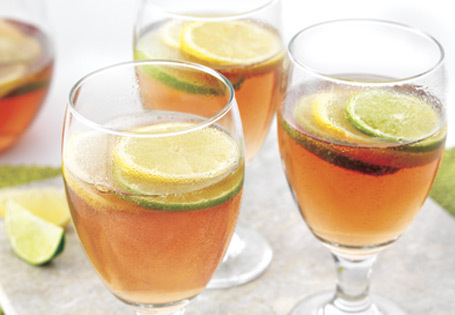 Divide lemon and lime slices among 8 wine glasses. Pour the mixture over the top.